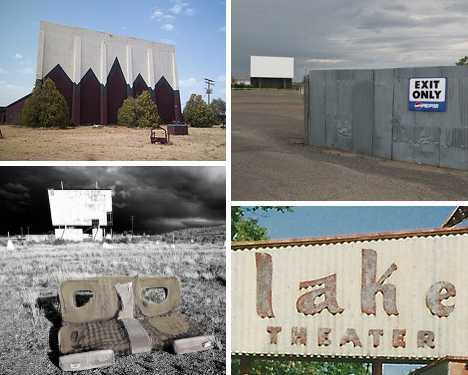 Drive-in movie theaters stand for the great American auto-centric suburban dream, though as time goes by fewer and fewer of the outdoor screens remain standing. On June 6th, 1933, as many as 400 New Jersey motorists looking to escape the harsh realities of the Great Depression for a while enjoyed Wives Beware, starring Adolphe Menjou, from the comfort of their automobiles. 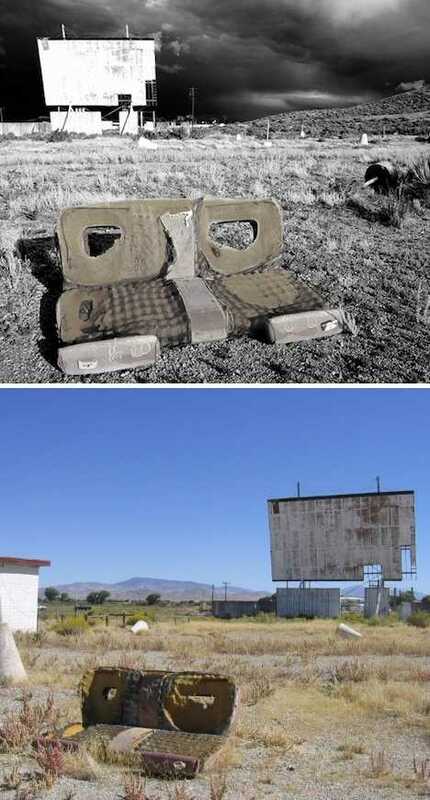 Though the 40 by 50 ft screen at Park-In Theaters in Camden is long gone (it operated for only three years), other relics of the Drive-In Theater Age still stand, if just barely. 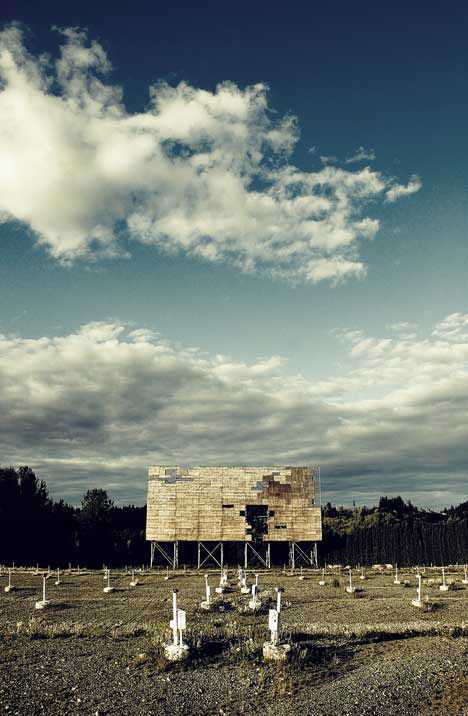 According to travel photographer Craig Deman, “approximately 90 percent of drive-ins are closed from their peak in the late 1950s.” Deman is somewhat of an expert on the topic, having authored the hauntingly illustrated The Drive-In Project which documents the current state of abandoned drive-in movie theaters from coast to coast. They say “Life Is Sweet In Texas” but since the Midway Drive-In Theatre in Sweetwater, Texas closed things just haven’t been the same. The 230-car capacity drive-in was opened in the 1950s and like many drive-ins of the era, provided a large playground for kids and an outdoor seating area for families in front of the screen. 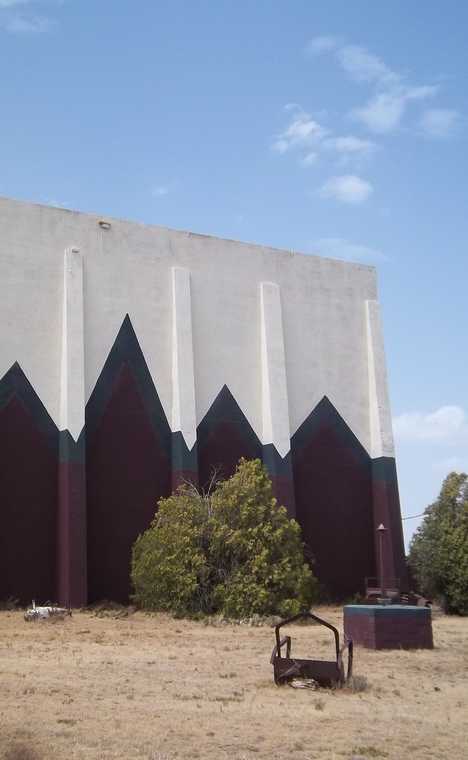 The jagged faux mountain range painted in bold Indian red & forest green on the back of the Midway Drive-In Theatre‘s screen make it an easily identified landmark, even from far across the windswept plains of north-central Texas. Flickr user Nicholas Henderson captured the screen-back backdrop’s eerie essence above, looking little the worse for wear, on a bright summer’s day in 2011. There’s not much left of Mt. Orab, Ohio’s Lake Drive-In besides its inimitable Fabulous Fifties main sign and the moldering wooden ticket shack. Indeed, the theater’s Happy Days indeed have long since faded though Richie, Potsie, Ralph and the Fonz still likely have fond memories of many a moonlit night… hey Arthur, don’t you think it’s about time you let those guys out of the trunk?